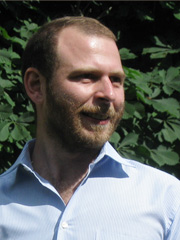 Antoine Mandel is professor of applied mathematics at University Paris 1 Panthéon-Sorbonne and a research fellow at the Centre d’économie de la Sorbonne. He holds a Ph.D. in applied mathematics from University Panthéon-Sorbonne and worked for two years as a post-doctoral fellow at the Potsdam Institute for Climate impact research (PIK). His research focuses on socio-economic dynamics in the context of climate change. He is part of the consortia of the current GCF projects GREEN-WIN and DOLFINS. A list of his recent publications can be found here.